If you are a Drupal developer enthusiastic to learn the latest development in Drupal or a novice programmer who wish to start from the scratch, then you need to find the best learning materials. Online tutorials and books of experienced Drupal users and developers can help you master Drupal functionalities and features with ease. 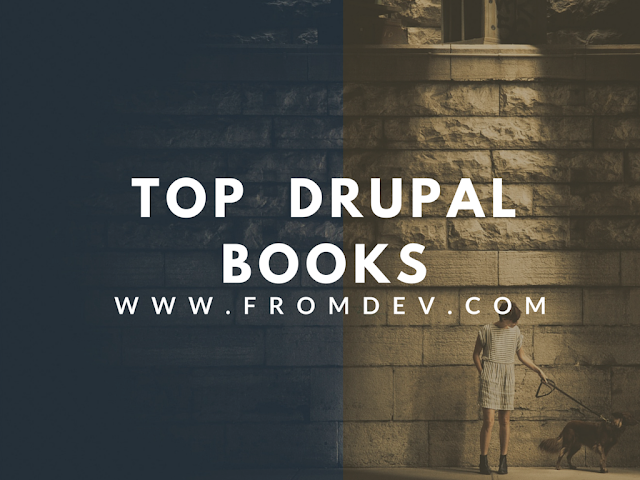 Below listed are some of the best books that will give you a clear and detailed insight into Drupal. Authored by Richard Jones, this book can help you learn everything you need to know in order to set up a Drupal commerce website. Right from the basics, the book details all the steps on how to build an ecommerce store using Drupal. The book covers the basic building blocks of Drupal commerce, basic installation, planning, product configuration, product catalog, shopping cart, customization of checkout process, setting up the shipping, tax calculation, store management and creating special offers. Written by Jennifer Hodgon, Programmer’s Guide to Drupal book discusses about the principles, practices and pitfalls of the open source CMS. Drupal developers of all skill levels can make the best use of this book. A complete overview of Drupal, basic programming principles, common programming mistakes, debugging tips and many more best practices are discussed in this book. If you are looking for a hands-on book that will guide you on building interesting web application with Drupal, then Drupal for Designers authored by Dani Norden is your best choice. Websites need to deliver an optimal user experience across all the digital devices. And that is why developers are looking for the techniques to incorporate responsive web design with Drupal 7 themes. Responsive Theming for Drupal, written by Mike Crittenden is a practical guide that takes you through the basics and shows how to build websites attractive layouts for every screen. Authored by Jeff Sheltren, Narayan Newton and Nathaniel Catchpole, this book is a comprehensive guide covering Drupal versions 7 and 8. Explaining everything from site deployment to implementing some specific technologies, the book is a reference manual for both beginners and intermediate users. Wish to learn Drupal 8 right from the scratch? Learning Drupal 8 authored by Nick Abbott and Richard Jones is an absolute beginner’s guide and follows a practical case study chapter-by-chapter to construct a complete website using Drupal 8. Authored by Todd Tomlinson, Beginning Drupal 8 is the right book for novices and developers alike. Non-technical users who need to use the latest version to manage their website content and the web developers who are new to the Drupal 8 version can gain the complete knowledge for building, deploying and managing Drupal 8 websites. Wish to experiment with the new features of Drupal 8? The book written by Matt Glaman provide a lot of helpful code ‘recipes’ or complete code solutions to common website tasks. If you are looking for a go-to guide for a Drupal 8 newbie or Drupal 7 expert, this book is an ideal choice. Configuration management is the most popular feature of Drupal 8 release. The book authored by Stefan Borchert and Anja Schirwinski teaches you everything you need to know about the Configuration Management System. I hope you find the best book for your Drupal learning experience. Wish you best luck and happy learning. Hello I am Annie George and I am content marketing manager for Atlas Softweb. Atlas Soft Web is a reputed web development company that takes pride in offering nothing but the best services to its clients. With a team of dedicated professionals, the company always makes it a point to deliver top-notch web solutions for the businesses. Our services comprise of web design, web development, mobile application development, search engine optimization, digital marketing and more.